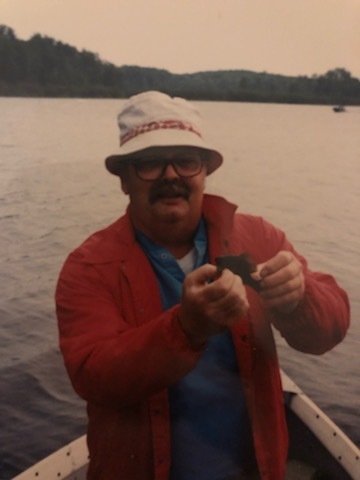 Ronald Robert Soos, 81, of Boscobel, WI, passed away peacefully on Thursday, January 10, in Mesa, AZ. Ron was born June 1, 1937, in Chicago, IL, to Charles and Kay Soos. He was raised in Illinois and graduated from Ela-Vernon High School in Lake Zurich. He continued his education at Northern Illinois University in DeKalb, IL and graduated with a degree in physical education. Ron then went on to the University of Indiana to obtain his masters in physical education. He married Linda Marie Benjamin, July 30, 1961. Ron and Linda taught in Crystal Lake, IL until they moved to Boscobel, WI in 1972. Ron was actively involved in many school and community activities while living and teaching in Boscobel. He enjoyed cooking, fishing, hunting, traveling, and watching sports, esp. football. He was well known and loved throughout the community. Ron will surely missed by all who knew him. Ron was an incredibly loving husband, father, grandfather, brother, uncle, and friend. He is survived by his wife, Linda Soos of 57 years, Boscobel, WI: two sons; Kevin(Stacey) of La Crosse, WI, Mark(Amber) of Racine, WI : two sisters; June Grgurich of Tuscon, AZ and Sandi Rogas of Apache Junction, AZ: two brothers; John of Mchenery, IL and Chuck(Lee) of Phoenix, AZ ; four grandchildren and numerous nieces and nephews. To Linda and family. So sorry to hear that Ron passed away. My sympathy to you and your family. It was great to spend the time in the pool with Ron and you. I will always remember those morning for many years to come. May he Rest In Peace. Our sincere condolences to Linda and family. May the Lord comfort you during this time. Our thoughts and prayers are with you. Ron certainly had a blessed life well lived. Bill and I met Linda and Ron only once when we moved to Orangewood Shadows, but we remember his kindness. So sorry for your loss. I remember seeing you in the pool early in the morning. Prayers with you and family. It’s with great sadness that we heard of Ron’s passing. May you find comfort in knowing that others care and that Ron will be truly missed by so many. So sorry for the families loss. Coach was a great person and family man. I have a lot of fond memories growing up as a teenager in Boscobel and having him as a teacher and family friend.